St Brigid’s School, Collie is a Catholic primary school catering for students from Kindergarten to Year 6. 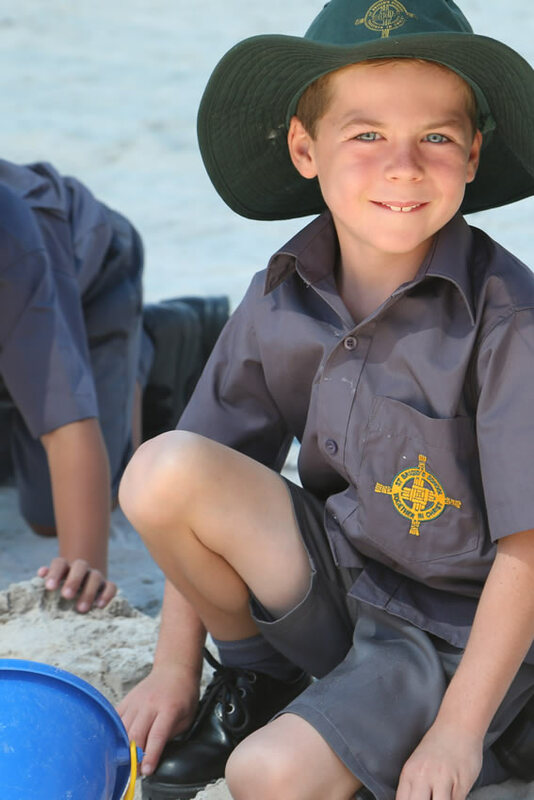 Our school is one of five primary schools situated in the town of Collie, approximately 200km south of Perth and 50km east of Bunbury. Our mission is to provide the students of Collie and its surrounds with the very best educational program underpinned by Christian values and spiritual development. Our school has an enrolment of approximately 155 students and our classes are structured flexibly to allow for differing enrolment cohorts. Our Kindergarten, Pre-Primary and Year 1 are straight classes and our other year groups are currently educated in composite classes. Our school values; Service, Respect, Kindness and Learning shape the expectations of our conduct and all our relationships within our school. We have a strong focus on contemporary education and creating an environment and programs that develop 21st century competencies in our students. Our dedicated and committed staff recognise parents as the first educators, and foster strong relationships and partnerships with families. Every child is important at St Brigid’s, and we walk together with our families to nurture faith-filled, engaged and successful learners. St Brigid’s School in Collie is a co-educational Catholic Primary school from Kindergarten to Year 6 and has a student population of almost 180.